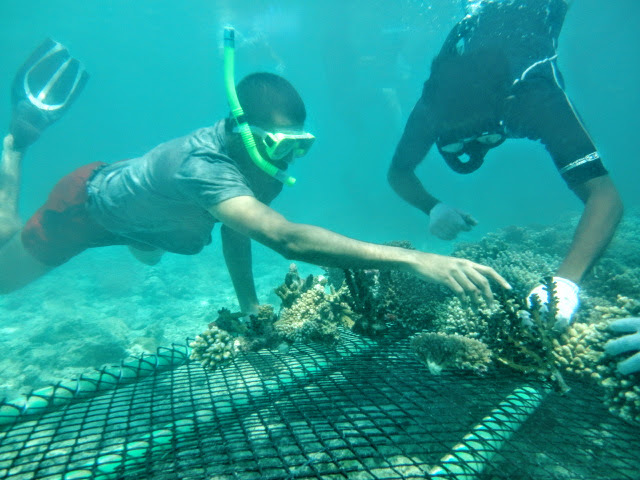 A team of volunteers joined forces with Kurumba staff on Wednesday (December 17) to rescue corals from a land reclamation project and help create the largest coral frames in the Maldives. 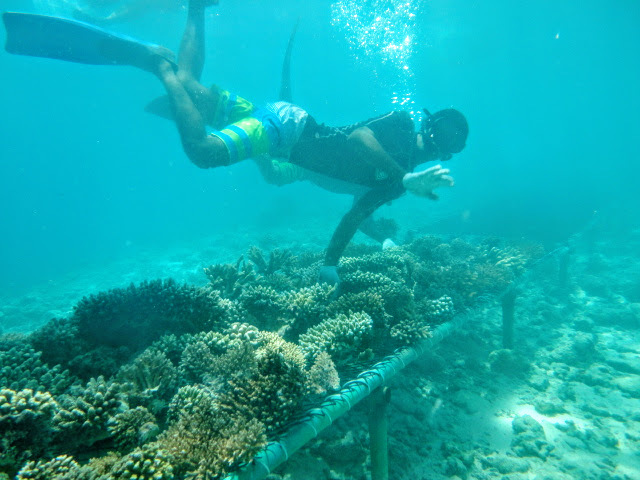 Thanks to the efforts of the team two massive 20ft coral frames packed with transplanted coral have been created on the house reef at Kurumba. The two adjacent frames are the largest of their kind in the Maldives and together form a new 40ft-long coral garden. The group of Kurumba staff, Maldivians, expats and local NGO Save the Beach Maldives, spent the day searching underwater for live coral colonies in a section of water designated for land reclamation. The lagoon, which was abundant in marine life and various varieties of coral including staghorn and table coral, is due to be filled in in order to create more land for housing between the inhabited island of Hulhumale and the former resort Club Faru. 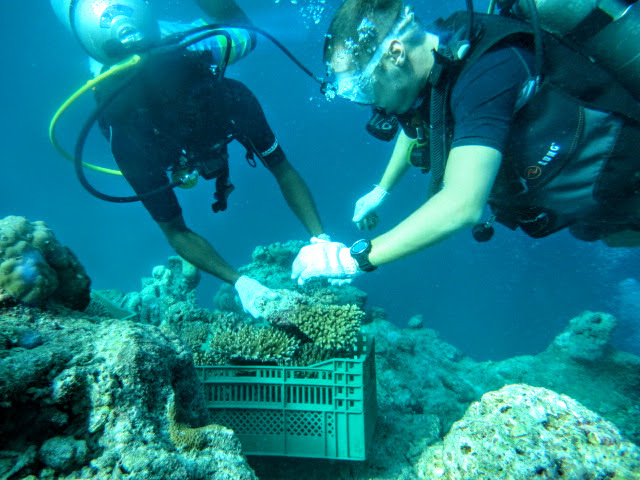 Equipped with sturdy gloves the snorkelers and divers removed entire coral colonies by hand and placed them one-by-one in crates attached to buoys. 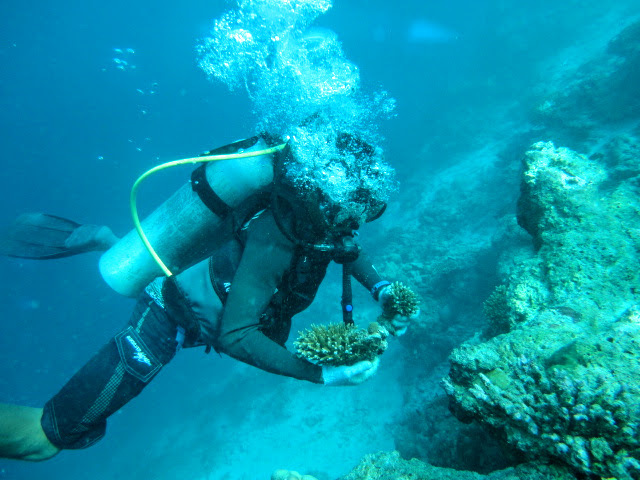 They targeted resilient staghorn coral but other species including some rare black coral were also saved from the site. 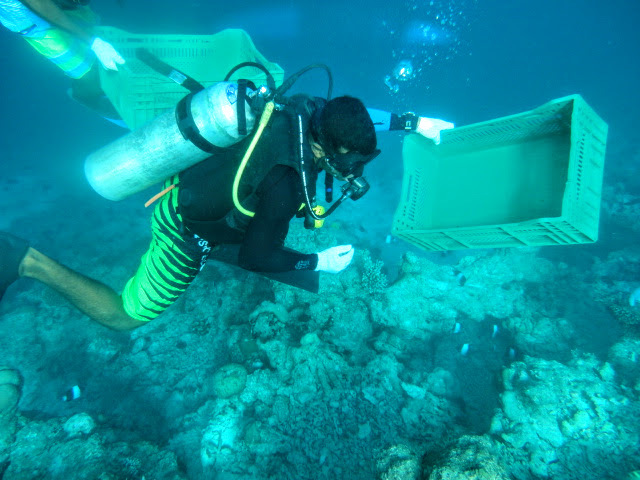 When the boat returned to Kurumba the corals were unloaded by the volunteers and placed on the two 20ft underwater frames. It is the first time such a project has been attempted in the Maldives on such a large scale. The 40ft section of transplanted coral will be kept under close observation by marine biologists. 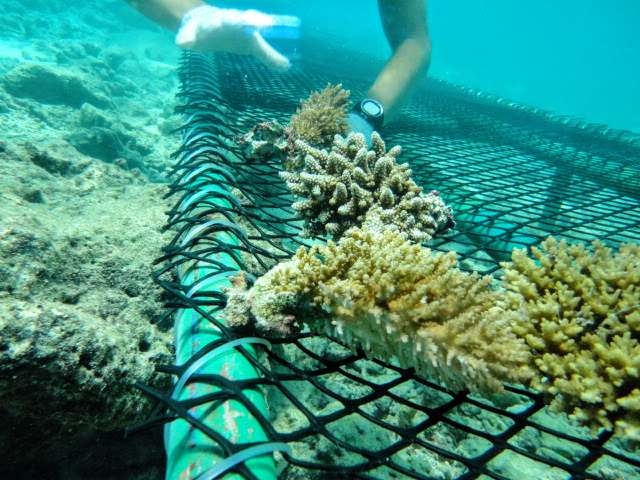 The volunteers used a tried-and-trusted coral transplantation technique which has already proved successful on a smaller scale at Kurumba. 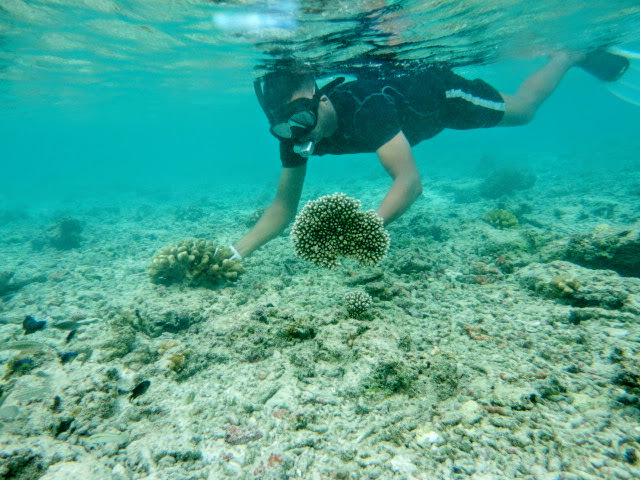 It is hoped that the recently-transplanted coral will adapt well to its new environment and eventually completely engulf the metal frames stretching 40ft across the sea bed a few metres off the shore at Kurumba Maldives.